There’s much to recommend curation. If you’re not familiar with H.G. 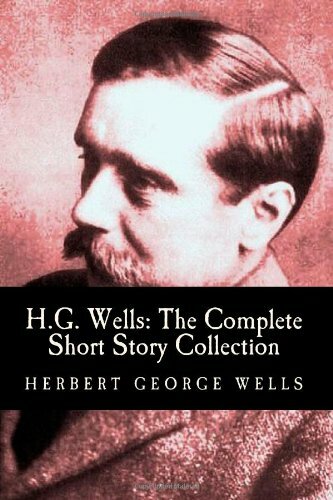 Wells, by the way, he wrote The War of the Worlds, The Time Machine, and The Invisible Man, amongst other classic SF novels. He also wrote dozens of short stories in his life (Wikipedia maintains a list). His last short story was published over 50 years after the first. His skills undoubtedly improved over time, which highlights the central problem of this book: a lot of the stories are dull. In “The New Elixir,” an inventor and his companion test a potion that greatly accelerates their physical and mental processes, allowing them to functionally slow down time relative to their own experiences. They proceed to wander through a motionless park and play with the effects of this. They observe the tip of a cracked whip, and discover they cannot move too quickly or the friction of their clothing will catch fire. As the elixir wears off, they return to their apartment, and…that’s it. The story ends. It’s a pure exploration story, interesting for the imaginative or curious, but dissatisfying as a narrative. “The Valley of the Spiders” introduces us to a group of riders in the Old West, who are pursuing…well, something. The story is a tour de force of showing, not telling. There are no “As you know, Bob” passages. Instead, we glean context from passing references within dialogue. We slowly realize that we don’t like these men. Then they encounter a certain danger, and our sympathies shift. We may not like them, but we don’t want them to die like this. The story ends with a bang, on a characteristically ambiguous note. We know what happens, but we’re not exactly sure what it means. It left me breathless, with multiple strong images in my head. That’s my primary memory of this book: Some forgettable stories, and some that leapt into my soul.